Founded in 1991 as Pacific Airlines with headquarters at Ho Chi Minh City, Vietnam, Jetstar Pacific Airlines is Vietnam's low cost budget airline based at Tan Son Nhat International Airport with focus city at Noi Bai International Airport. 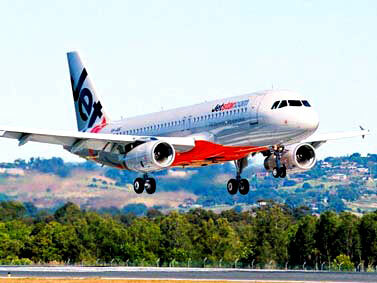 Jetstar Pacific serves flight services ranging from domestic to international as well as charter flights. The frequent flyer program for Jetstar Pacific is known as Qantas Frequent Flyer and its member lounge is known as the Qantas Club. The airline also has codeshare agreements with both Bangkok Airways and Jetstar Asia Airways.